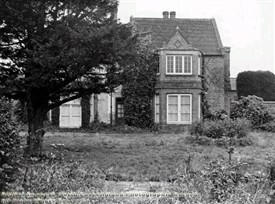 The Rectory was demolished in 1964 and Robert Miles Junior School built on site. Photographed by George L Roberts, 1963. Image from Picture the Past, www.picturethepast.org.uk (reproduced with permission). In the June 1897 edition of Notts & Derbyshire Notes and Queries 'W. S. L.' submitted the following reminiscence. The author captures a moment in time, contrasting the rapid growth of the industrial centres of the East Midlands, such as Nottingham and Derby, with sleepy market towns such as Bingham. Ironically we have now come full circle, properties in a historic market town such as Bingham being more desirable than city dwellings. they have relatives or friends on the spot, which, of course, would make all the difference. In my case, I was seemingly in "a land that knew not Joseph.""